Finding the perfect mattress isn’t always easy, which is why we believe that all customers should try out potential mattresses in person. To make mattress shopping easier than ever, Best Mattress offers over 20 locations throughout Las Vegas, Mesquite, and St. George, Utah. Some mattress companies are only worried about offering low price points and completely overlook the importance of quality. Here at Best Mattress, we strive to offer you an incredible value AND a mattress that is made well and that will stand the test of time. We are proud of our reputation for having a staunch commitment to quality. We offer only the best brands, such as Serta, Tempur-Pedic, and Beautyrest. You can also learn more about our company and our products on the rest of our site. We work hard to update our websites to display current sales information and local promotions. Stop on in during our business hours to talk with us or give us a call at 702-657-8400. We are happy to help you try out any style of mattresses we carry in-store. You won’t have to rush! Take all the time you need to find the perfect mattress. Our Showroom and Clearance Center is at: 2575 E Craig Rd. Las Vegas, NV 89030. We are located directly across the street from The Cannery Hotel and Casino. 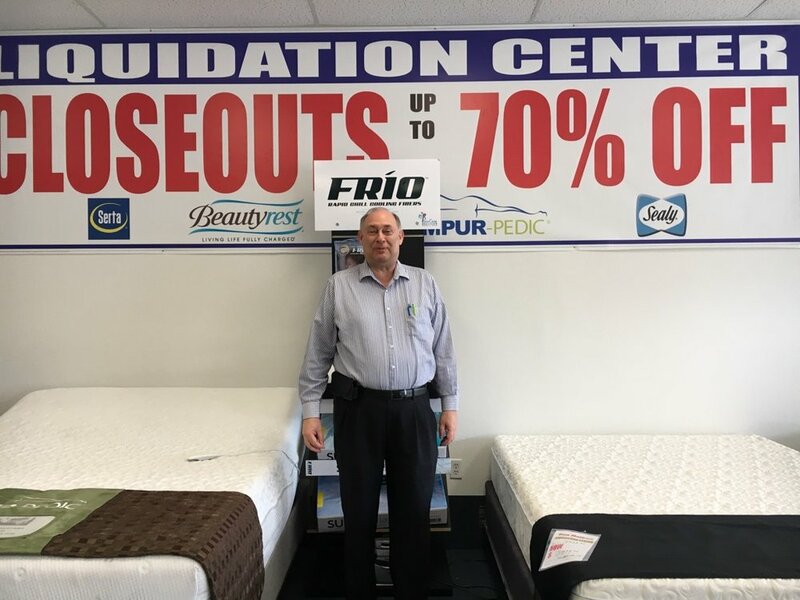 While you are in our store shopping for mattresses, you can count on helpful customer service from our trained professionals if you want it, or a quiet, personal shopping experience if you would rather be left alone to peruse our stock. Also, since we know that some people need to shop later in the evening, we are also open later than some of our competitors. We are eager to talk with you and help you find the best mattress you’ve ever had. Stuart has a new aged style and approach to getting you exactly what you need in a mattress! Consult this sleep expert for knowledge on Serta, Beautyrest, Tempur-Pedic, & Five-Star brands. He knows all the details about Beautyrest products. Whether you are looking for a Beautyrest Black, Silver or Platinum, he is the guy. Serta’s Perfect Sleeper & iComfort definitely fall within his expertise. He can pair any brand with the adjustable base of your dreams at a low price with all the protective accessories that make your sleep the best! Don’t take our word for it. Feel free to read our incredible customer reviews on Facebook, Twitter, Yelp, and Google. If you have any questions or comments about the service or products that you received.